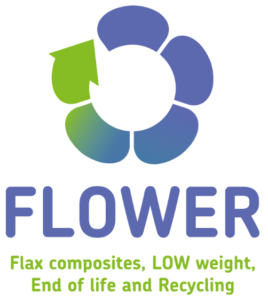 "Flax composites, LOW weight, End of Life and Recycling"
Read More "The registration for FLOWER’s first conference is open !" 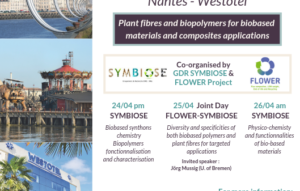 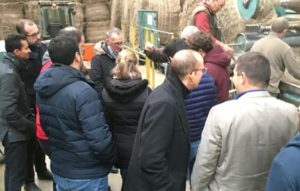 Read More "SAVE THE DATE – FLOWER 1st Conference"
Read More "News November 2018"
The project aims to develop flax fibre reinforcements produced locally for the composite industry at a lower cost. 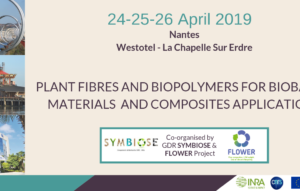 The outcomes of this project will enable to achieve the aspirations of using sustainable, cost effective and environmentally friendly lightweight composites as a viable alternative for automotive, advertising and sailing sectors. The FLOWER project was selected under the European cross-border cooperation Programme INTERREG V A France (Channel) England co-funded by the ERDF (European Regional Development Fund).